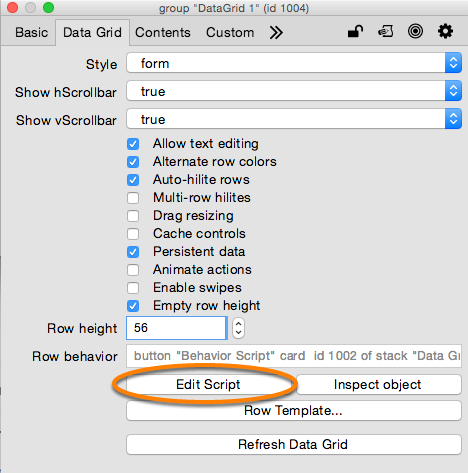 LiveCode LessonsData GridLiveCode Data Grid Working With Data Grids (Forms & Tables)How Do I Get Data Associated With a Row or Column? 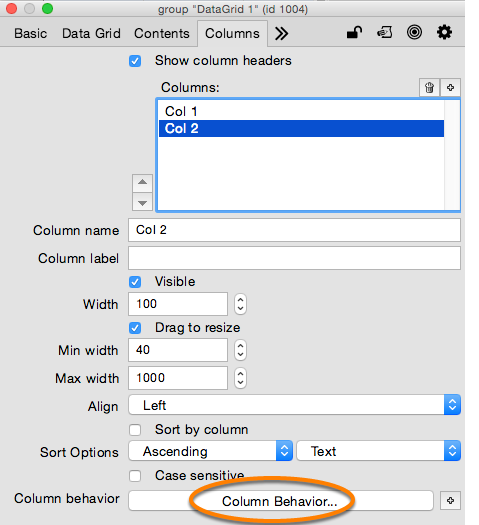 This lesson will show you how to get the array of data associated with a row in a Data Grid form as well as how to get the data associated with a row's column in a Data Grid table. Both properties return the array associated with a row in the Data Grid, they just allow you to target the row differently. dgDataOfLine allows you to target the row in the order it appears visually in the Data Grid. dgDataOfIndex allows you to target a row based on the internal index number that the Data Grid uses to identify the row. This value does not change, even if you change the sort order for the Data Grid. Both of these functions return the value associated with a particular key, or column, for a row. Let's look at some examples of how to use these properties and functions. ## theDataA is now an array variable. ## In the case of the Data Grid pictured above the keys of the array are id, FirstName, LastName and Title. Now let's assume that you only want to get the "id" value for the selected row without fetching the entire array. You can use GetDataOfLine to accomplish this. You need to keep in mind that GetDataOfLine (and GetDataOfIndex) is a function defined for a Data Grid. That means that the Data Grid group MUST be in the message path. If the Data Grid group is not in the message path you would need to use the call command. To illustrate how to use GetDataOfLine let's look at how you could define your own custom property for a Data Grid. The following code defines a uSelectedID custom property that returns the id of the selected row. This code would be placed in the Data Grid group script. 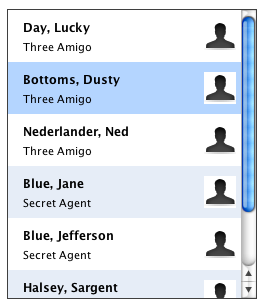 ## Now call handler in card script that loads info for selected person. ## the dgIndex is a custom property of this row. ## the dgControl is a custom property of the data grid itself. If you wanted to move this same mouseUp code into the Data Grid script itself then you would change the 'me' references to 'target' and add a check to ensure that the user clicked on a row. This example also uses GetDataOfIndex rather than dgDataOfIndex to show an alternative. ## the dgIndex is a custom property of the row. ## the dgColumn is a custom property of the column. ## Do something with column value..
Prev: How Do I Determine The Selected Line? Next: How Do I Add A Row Of Data To An Existing Data Grid?